A boutique on St. George Street specializing in bohemian and vintage dresses, skits, and tops. 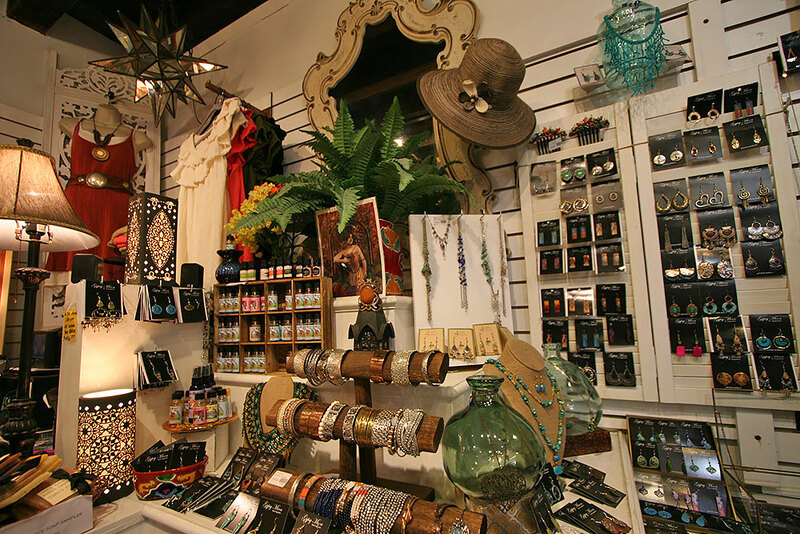 Gypsy Moon is a shop on St. George Street selling bohemian and Renaissance inspired clothing. Their line of clothing includes dresses, long skirts, apparel with corsets and ties, shawls and scarves, and flowy tops. There are also pieces of jewelry and vintage-inspired looks. Next door is an organic soap shop selling bathing products including handmade bars of soap. Be the first to Review Gypsy Moon!